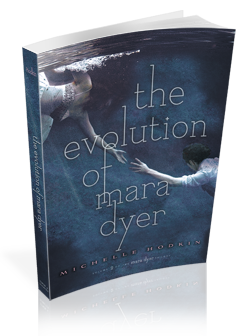 So, without further commentary…Our teasers from the beautiful, the wonderfully creepy, the incredibly mysterious…The Evolution of Mara Dyer. “This was the boy I loved. A little bit messy. A little bit ruined. A beautiful disaster. “I want to kiss you,” I whispered instead. I had one final thought before I slipped into sleep. “You like them,” I realized. Noah’s eyebrows lifted in question. I hope you’ll love the book and can’t wait for your review. Love your blog too and I’m following you now. It would be great if you could stop by my Teaser Tuesday post. We also have an INT giveaway going on on our blog. Do participate if you’re interested. We did love it! =) If you’d like to see our review, it posted yesterday as a vlog so check it out if you like! =) Heading over to your TT right now! Nice when there are multiple teasers. Thanks for visiting. Yay! Thanks! Hope you get to read them soon! I liked that last teaser … funny! Omg. Love those teasers! I really need to read this series. Thanks for sharing! You definitely should! so so good! Great teasers! Now I want to read it even more. Looking forward to ding back into this outstanding series. Yay! Enjoy! Let me know what you think when you get around to reading it! Oooh~ I want to read this series so badly! And the teasers are all bits that made me smile~ that’s always a plus! Shut up you’ll make me run to the store, lol! But I just got a B&N coupon so it’s definitely time to go shopping!